There was a guy who you might have seen in the news, someone named Rafael. He apparently filed a case against his parents for letting him come into this world. That obviously got a lot of backlash with most of us making a laughing stock of him and jestfully offering to help him if he wants to die that badly. What a sad world we live in, right? On one hand, he might have done this to garner attention. But it could have been for a much broader cause. If only, we wanted to listen to his views and understand ‘why’ one would want to create brouhaha about such a thing. Capernaum asks a similar question. It almost begins with a scene where the protagonist, a kid of about 12, asks quite literally the same question; that too in a courtroom! The judge asks the kid if he really wants to proceed with the complaint against his own parents, for giving him birth. Zain, the kid, affirms with mighty confidence. We see his parents’ faces engulfed in silence. The plot, surrounded by this idea which sounds like a forced gimmick, unfolds to why it all came to this situation. For the record, this film was nominated for an Academy Award in the Foreign Language category and awarded in the prestigious Cannes festival. We go back to a slum neighborhood, where we get to see Zain’s family. We see the establishing shots where he was seen sharing a room with a bunch of siblings. He was working at a convenience store of their landlord, who had an eye on his sister, Sahar. Zain seemed to have a close bond with her. The film takes enough time to establish that, without stretching this emotional cue. He does his best to protect her. Even in a scene where he gets exasperated seeing her getting dressed up, blindly following what the parents wanted her to. There’s much socio-cultural subtext behind every small scene such as this. Her parents, being in financial debt, decide to lose her burden by letting their landlord take her home as his wife. There was no play of morality here for the parents, as they constantly expressed the lack of any other option. Else they would have been kicked out of the house. Zain finds it extremely repulsive, seeing someone being sold like that. He, as a child, even uncertain of his own age, questions parents if they find it fair. Not getting any satisfying answers rather being constantly shut down, it leads him to leave the ‘home’ that his parents were trying to save all along. Being unable to save her, he leaves the house to find a job, a purpose to live by and live with. While searching for work, he comes across an Ethiopian lady, an immigrant named Tigest (also known as Rahil), who was working as a cleaner at an amusement park. They encounter again where, out of pity, she takes him to her place and feeds him. He gets a place to stay and her child to look out for. Unlike his own parents, she seems to be concerned about the livelihood of her baby. In a scene where she brings a cake for them both and asks him to blow over, you can see through his eyes that he understands her concern. We get to see another side of parenting under similar (if not worse) circumstances as he witnesses it. We get to see him getting mature, realizing what care or affection is. Most of this wouldn’t have been possible without the remarkable performance of Zain Al Rafeea as the protagonist Zain. He effortlessly carries the pathos without being overly-dramatic. In a film, which seems like a much grittier yet melodramatic sibling of Slumdog Millionaire, we’re not presented with an idea of false hope but the stark, gruesome reality around the characters. The characters inevitably were a result of the place they were part of. And the film creates a milieu of this place with a camera hanging around the protagonist’s height. The film is, after all, about a world and the people seen through his eyes. With a central idea which could have easily been a parody of itself, it succeeds with the grisly look and sustaining it throughout. The occasional bird-eye shots give the idea of tiny, insignificant lives they were living in. Because of the false papers, Tigest was arrested and she couldn’t have a word with her baby. Leaving it to Zain, as a result, he had to act like an adult. In order to feed both of them, he strives to find different alternatives. Tired of living like this, he dreams of leaving the country. As he speaks with the dealer, he asks which country is better to go to, not having known a single thing about them. But again, having to live in poverty doesn’t seem to be his concern. Being surrounded by the ones who constantly made him feel unsafe about his existence was rather what he couldn’t seem to swallow. Everyone mattered for him. At least that’s what the director wants us to listen from his mouth. Despite all the good intentions, what the film lacks is a clear focus. Especially in the meddling second act which could have been easily trimmed. Towards the second half, it becomes a mush of ideas; although having enough tension for investing us in the characters and their motives. What makes one glued to the screen is cinematography and real-to-life earnest performances. Perhaps that has to do with the impeccable casting of non-actors who have more-or-less lived a life like this. But other than Zain, even the performance of Yordanos Shiferaw as Tigest (who takes care of him later) or Cedra Izam as his sister, Sahar or Kawthar Al Haddad as his mother, everyone embodies the role, to say the least. It does have its share of melodrama which doesn’t seem indulgent, concerning the subject-matter. But it doesn’t use it to heighten the courtroom drama as it wasn’t trying to be one. It is kept short for the good. Humour, which is used at places, never feels out of place. The pace hardly ever breaks in terms of emotions. I just wish it had been the same case with its plot. The title of this film is loosely translated as ‘chaos’ in English. Wish it hadn’t gone off the rails for a while to become one. 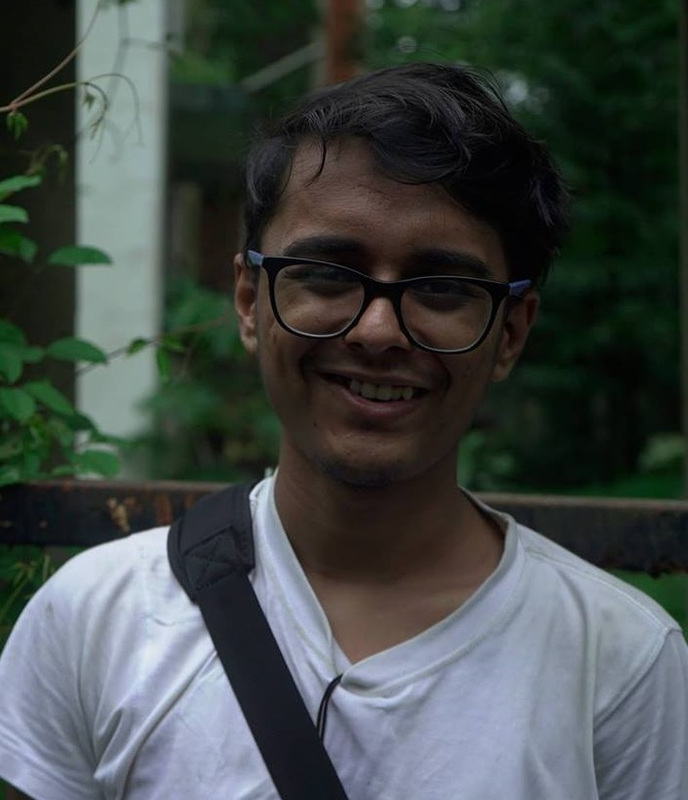 Akash Deshpande is a film student and enthusiast.